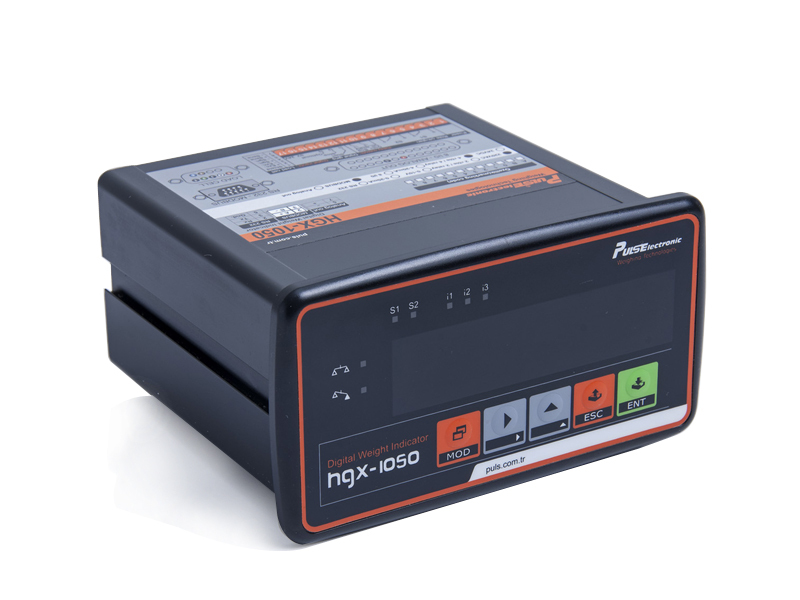 HGX-1050, Thanks to its high sampling speed (200Hz) and high analogue sign processing hardware, is a popular product for industrial weighing and control applications. It offers premium solution for display resolution such as 1/100.000 and high speed packing/filling applications.It includes 255 stage software filter so that it generates high speed and reliable results under vibrating environments. Standart 4 relay output (230VAC/5A) can work as a single controller. 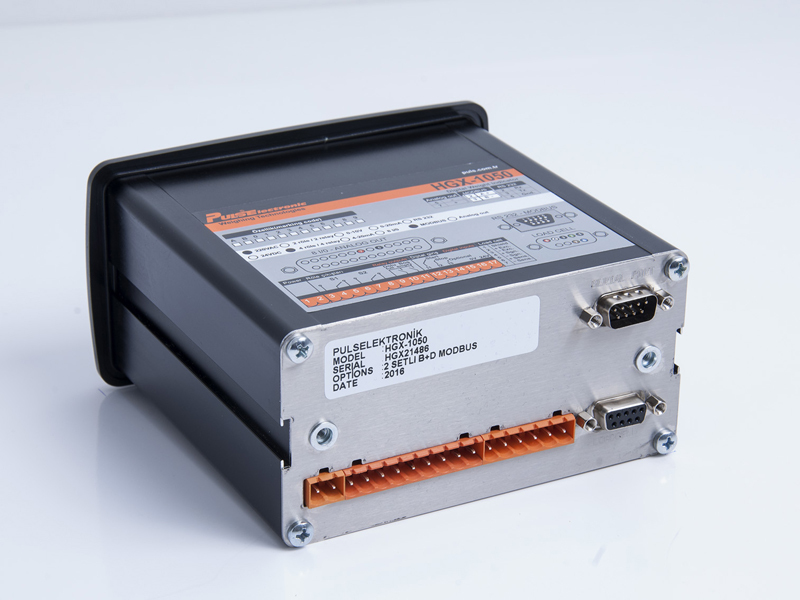 It includes error correction function, availibility for Gross and Net filling applications, high software abilities for weighing and filling applications. As well as equipped with error correction function that is adaptive to variable tolerances. With its material flow function,it makes contribution to machine reliability and efficiency.Packing/Filling applications with high speed and accuracy. • Tank/Silo weighing applications and integration with automation system. : 2 internal relay outputs + 2 opt. : 1/100.000 display resolution 5 level digital filter.